The Primate is travelling to the Solomon Islands, March 15 to 29, 2012, at the invitation of Archbishop David Vunagi, Church of Melanesia. 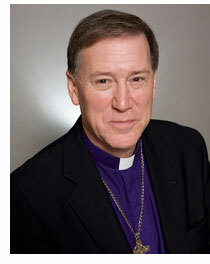 Archbishop Vunagi, known to many Canadian Anglicans, is an alumnus of Vancouver School of Theology (M.Th. 1999). Partnership in mission and justice between the Anglican Church of Canada and the Church of Melanesia has, over the past 30 years, involved many people in a wide range of ministry including theological education, vocational training, peace and reconciliation, gender and climate justice, support to women and families, research, and publication. This will be the Primate’s first visit to Oceania. He will be accompanied by Dr. Andrea Mann, global relations coordinator, and Ali Symons, senior editor. The purpose of this trip is to visit the church, learn, and renew our covenant of relationship.